Pictured from left to right with Mayor Williams are Brenda Thomas, Belinda Jividen, Shirley White and Emma Johnson. Huntington's legislative pilot home rule authority expires next July, but council will vote at its November meeting to make it permanent. The Administrative & Finance recommended a favorable vote for the program that has enabled the placement of liens on property for past due city fees, done away with the business and occupation tax, and established a one cent city sales tax. 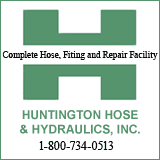 Huntington Mayor Steve Williams recently elected president of the municipal league told the committee he's encouraging all cities with home rule powers (now more than 30) to pass similar resolutions. Williams explained that "the government that governs best is closest to the people." He has already harshly told the legislature to stay out of making laws that apply to municipalities and cities in the state. Later, at the Oct . 22 council meeting that followed the Finance Committee meeting, council approved resolutions on its agenda that ranged from appointments , cargo vaults for HPD, a parking pad and sidewalk alterations at the Big Sandy Super Store Arena, funds were approved for the creation of a planning proposal for revitalization of Fairfield neighborhood. 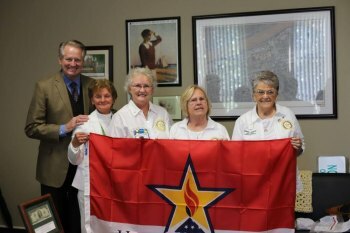 Earlier in the day, Representatives of the West Virginia Chapter of American Gold Star Mothers presented Mayor Steve Williams with an Honor and Remember flag today at City Hall. The organization is a coalition of mothers who have lost a son or daughter in the service of our country.